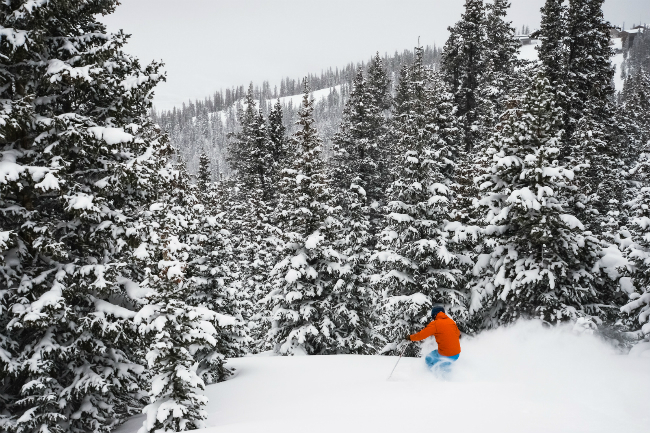 With over five feet of snow since January 1st, three of those feet in three days, and a total of 144 inches this season, Keystone is happy to announce that it’s 3,148 beautiful acres are fully open. Surely a fair share of bosses received a lot of suspicious “sick” call-in’s from their employees around late January. Can you blame them? 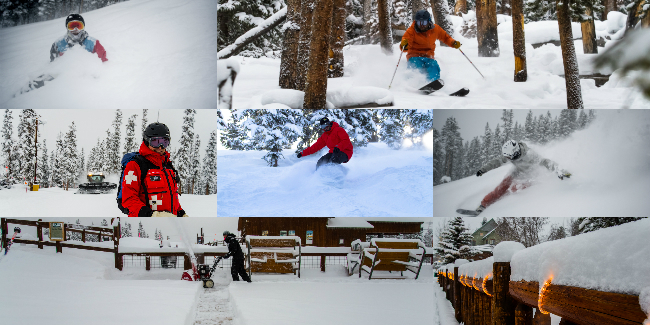 With all of this new snow in such a short period of time, visitors of all experience levels came to Keystone for it’s versatile terrain, which covers all skier and rider preferences on powder days. The more experienced skiers and riders know that they can always count on the Windows for calm conditions protected by tree coverage, and a lot of untouched powder. And if you’re really looking to get extreme and feel one with nature, you have six bowls to explore. These do require some hiking, but isn’t that the point? To earn your turns? For the intermediate types who are still looking for a challenge, North Peak and the Outback are where it’s at. 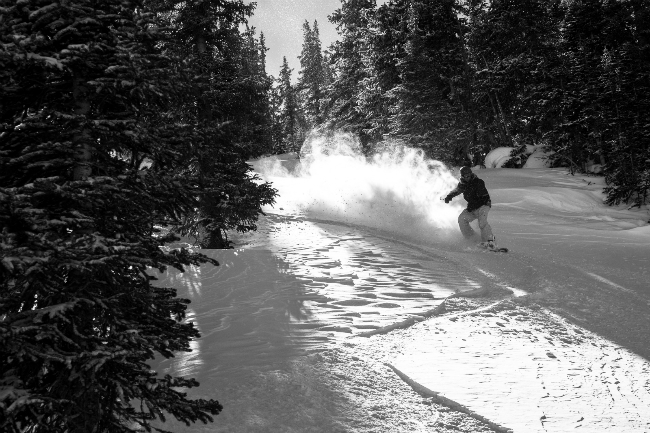 Skiers and riders tend to not waste any time getting back there, so get there early and secure yourself some fresh turns. Have your choice between terrain with plenty of open space, but steep enough for a challenge, or well spaced trees allowing you to lock down that perfect line. If you don’t get there early, no worries. 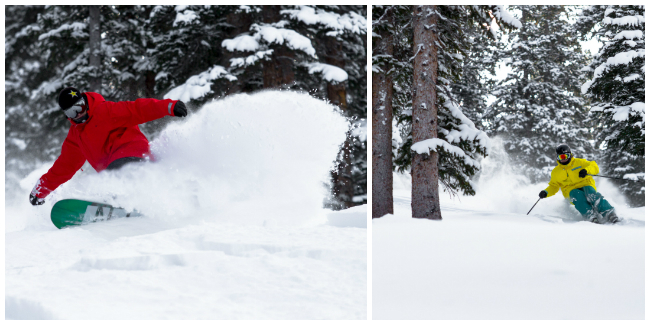 On a pow day, there’s plenty of snow to go around! Now, for those that are not looking to get too extreme and just want a fun day with friends or family, Dercum is a great way to go. With a large amount of the powder hounds heading straight back to North Peak, Outback and the bowls, Dercum has a mix of a green, blue and black diamond runs to surely strike your fancy. 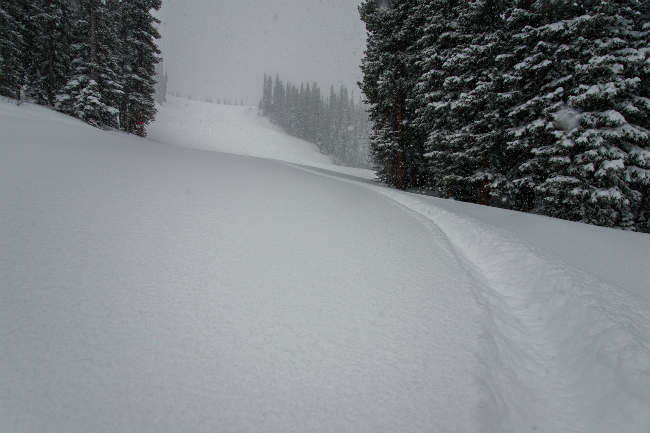 So if you’re coming from the greater Denver area, knock down your drive time while claiming dibs on fresh tracks by coming to Keystone this season.